Candy is delicious, but maybe you want your kid to go to sleep sometime this century. 1. A llama-centric board book with easy rhymes and easy-to-grip pages for little kids. Get it from Amazon for $6.28. 3. An egg hunt Lego set to keep the kids occupied after your IRL hunt concludes. Includes an adult and child mini figure and three locations! Ages 7+. 4. A dino egg and puzzle for an eggcellent new take on the standard plastic Easter egg. 5. Brain teasers for your smarty pants who might just be my boss one day because they're *that* smart. Includes 120 cards with multiple questions and activities on each one. Get it from Amazon for $8.81 (available in kindergarten or preschool). 6. Jumping chick toys that'll wind up for lots and lots of fun! 7. A soft lamb rattle in case this is your kiddo's first Easter but you don't want them to feel left out of the basket treasure trove. Get it from Amazon for $8.99. And also check out a similar pink bunny. 8. Or a textured carrot teether if you'd rather die than hear another rattle in your life. BTW, it's BPA-free and dishwasher-safe! 9. An Easter drawing book because bunnies can be hard to draw if you're out of practice! 10. And some scented pencils decked out in bunnies, bumble bees, butterflies, and other spring-y creatures because everyone could always use some fresh writing utensils. Get them from Amazon for $6.99. 11. A family-friendly card game with easy-to-learn rules and a range of 2–7 players so all the cousins can get in on the fun. And the average play time is 7–14 minutes so you won't be in for another Monopoly-like marathon. Ages 6+. 13. Baby animal sheet masks you can split between the grown-ups' and older kids' baskets. I've given the pug mask (you can buy here solo) as gifts several times and it's always a hit! Get a four-pack from Amazon for $9.99. 14. A dessert kitty even the most vocal cat hater would be hard-pressed to not adore. FYI, this only includes one randomly chosen one figurine. 15. A stuffed frog big enough to take up lots of space in their Easter basket, which means a lot less candy. Suitable for ages 3+ months. Get it from Amazon for $9.99. Also check out a similar lamb and duckling. And the set comes with a mesh bag that'll help you store *and* dry them out. Ages 1+. 17. 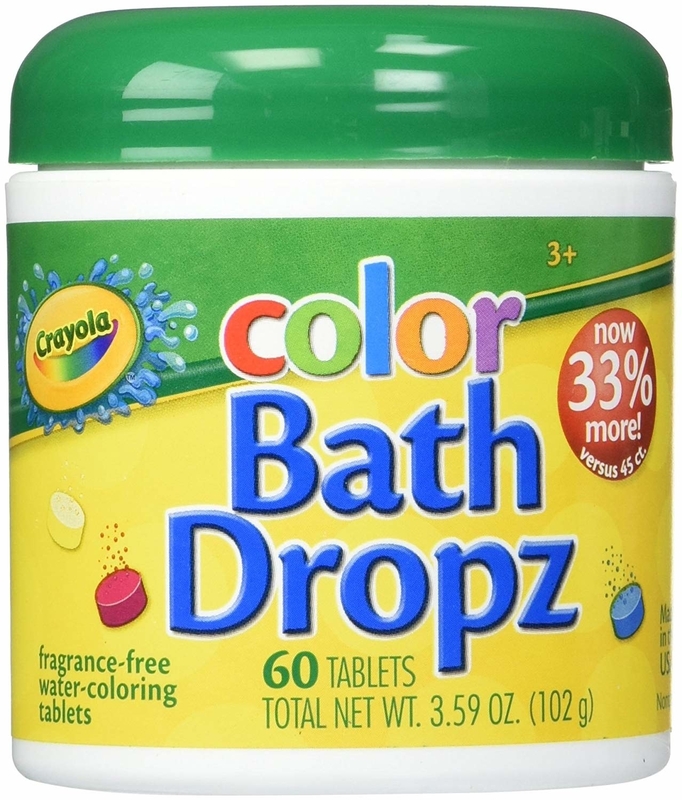 And colorful bath drops to make tub time even more of an event! 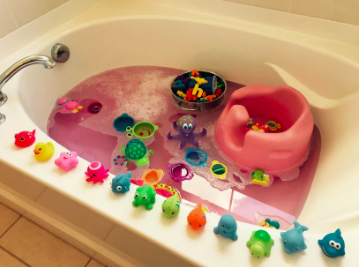 Reviewers not that they won't stain your tub! Ages 3+. Get 60 tablets from Amazon for $6.60. 18. 500 Easter stickers you can spread out over a few years' worth of Easter baskets because 500 is a lot!!! Get them from Amazon for $6.70. 19. Zoo animal erasers they could also use as playthings! Get them from Amazon for $6.50. 20. A farting animals coloring book that'll elicit all kinds of giggles from anyone obsessed with potty humor. 21. A 10-pack of Play-Doh because it's still fun to play with all these years later, even if your kid has access to all the cool and exciting video games in the world. 22. And some Cadbury drinking chocolate that isn't technically candy, but perhaps the next best thing.